An avid collector and film fanatic, John dabbled in comic art himself before pursing a career as an actor and drama teacher. 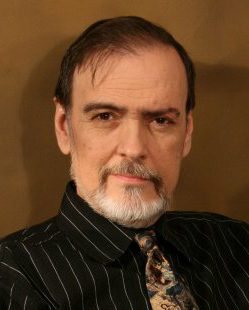 In the course of his exceptionally busy career, John has appeared in over 200 theatrical stage productions and has worked with theatre companies all across the country including the Repertory Theatre of St. Louis, The Muny, The Black Rep, Stages St. Louis, Insight Theatre Company, The Starlight in Kansas City, The Fox in Atlanta, Theatre Project Company, Westport Playhouse, St. Louis Actor’s Studio, St. Louis Shakespeare, Mustard Seed and Avalon Theatre Company just to name a few. He has played such iconic roles as Tevya in FIDDLER ON THE ROOF, Pseudolus, in A FUNNY THING HAPPENED ON THE WAY TO THE FORUM, Shylock in THE MERCHANT OF VENICE, Robert in PROOF, Creon in Jean Anouilh’s ANTIGINE, and John Barrymore in BARRYMORE, the role that brought him a 2010 Kevin Kline Award for outstanding actor in play. 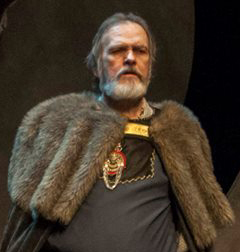 He also picked up two 2013 Broadway World awards, one for directing TIME STANDS STILL and one for the title role in KING LEAR, a role for which he also earned a 2013 St. Louis Theatre Circle Award nomination. John has also appeared in a number of feature films including the indie anti-drug film APRIL IS MY RELIGION with director Bill Boll and the upcoming PAPER TIGER BURNS with director Gavin Culbertson. He was even featured in the St. Louis cult classic sci-fi film ESCAPE FROM NEW YORK. John’s early adventures in comic art partially inspired Four Color Eulogy, and Jason had always wanted to work with his father in a film, so the part of Rich was written with John in mind.